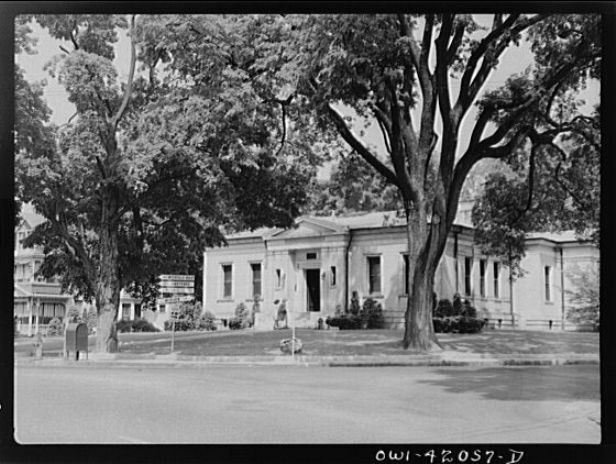 While it is not uncommon in the modern era for towns to appropriate funds for operating public libraries, the town of Southington has an especially unique history with its libraries. Born out of a desire to educate and improve public welfare, the libraries in Southington are more than warehouses of educational materials. They represent over two centuries of commitment from town leaders to their constituents, demonstrate the evolution of architectural styles and the benefits of adaptive re-use, and reflect changing attitudes toward the importance of preserving and savoring the written word. When the Reverend William Robinson came to Southington in 1777, he founded the area’s first circulating library. The Union Library, founded two years later, was an attempt to build a permanent institution expanding on Robinson’s efforts, but it only lasted until 1847. In 1894, recognizing a need to expand educational opportunities in town, library proponents drafted a resolution proposing the construction of a new library, but the resolution ultimately met with defeat at the annual town meeting. Taking up the library’s cause, the local Union Grange voted $35 toward its creation. The Hannah Woodruff Chapter of the Daughters of the American Revolution followed up with a $100 pledge. When fundraising efforts reached $1,000, the town adopted a resolution for the founding of the Southington Public Library. A small library opened in the Town Hall in June of 1900—housing approximately 1,300 books. Shortly after, Lucius V. Walkley, a dairy farmer and owner of the Pultz & Walkley Company in Plantsville, offered $5,000 toward a new $10,000 library, on the condition that the town raise the other half of the necessary funds. In June of 1902, several hundred citizens attended the official opening of the Southington Public Library at 239 Main Street. Fifteen years later, local philanthropist Emma Bradley Yeomans Newell bequeathed money for an addition to the library—eventually completed in 1930. 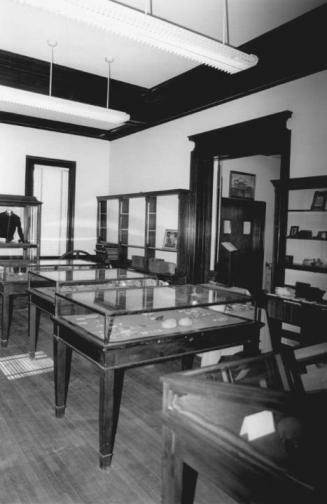 The addition, known as the Sylvia Bradley Memorial, housed the collections of the Southington Historical Society after its formation in the 1960s. As the town continued to grow, however, the library collections eventually filled the existing structures. Once again, the town dedicated itself to building a newer and more modern library. Completed in 1974, the new library found a home at the corner of Main Street and Meriden Avenue. Rather than destroying the old library, residents turned the building at 239 Main Street into the Southington Historical Center (also known as the Historical-Arts Building). Today, residents who visit the center can learn not only about their town or its structures but also of the community’s commitment to education through the preservation and dissemination of knowledge.